Adult scoliosis is strangely named, since although it does most often occur in mature people, it can also strike teens and children less frequently, as well. In fact, adult varieties of scoliosis have little to do with the age of onset and more to do with the circumstances of onset at any age. Adult scoliosis is considered a form of developed atypical side-to-side spinal curvature. It is caused by some underlying causation that is known and verified. In some cases, the causative process for adult types of scoliosis can be successfully treated and the curvature can therefore be reversed. In other cases, the curvature becomes permanent, since the underlying causative process is untreatable or unresolvable. If you have been diagnosed with scoliosis as a result of injury, spinal degeneration, spinal surgery or many other life circumstances, then the information contained in this crucial dialog is made just for you. Herein, we will discuss the true definition of adult variety scoliosis, its usual origins and the types of treatment that are most successful in curing it for good. Adult variety scoliosis can best be defined as the development of lateral spinal curvature due to specific structural reasons in the spine or surrounding musculature that are not related to rapid spinal growth or congenital defects in the anatomy. Although named “adult”, this form of scoliosis can actually strike at any age, given specific circumstances that might incite onset. Adult spines rarely suffer from the type of idiopathic scoliosis that affects young people, mostly in their adolescent years of development. Instead, scoliosis in mature adults is most often a consequence of spinal trauma, disease or deterioration of the vertebral, intervertebral and/or muscular tissues that compose the dorsal anatomy. Spinal degeneration can create the ideal circumstances for scoliosis to occur. Facet joint degeneration, intervertebral disc desiccation, intervertebral herniation and general spinal osteoarthritis can all alter the spinal anatomy, possibly encouraging changes in curvature, including scoliosis. These degenerative changes are virtually universal, but scoliosis is actually a very rare consequence of these typical spinal aging processes. Spondylolisthesis can encourage focal scoliosis in the neck or lower back. Abnormalities of the lordosis and/or kyphosis of the spine can lead to scoliosis. Likewise, scoliosis can also change these related front-to-back curvatures, often creating a difficult challenge of identifying cause versus effect. 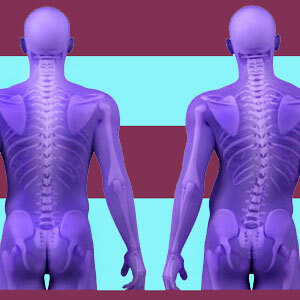 Spinal injury from any source can incite scoliosis. Most common are motor vehicle collisions, significant falls on hard surfaces, acts of violence and sporting injuries. Spinal or torso surgeries are leading causes of adult scoliotic formations. 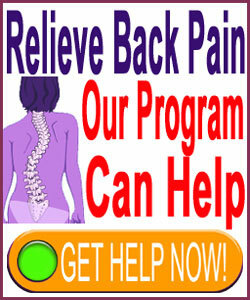 This can occur due to spinal structural or muscular reasons. Low bone density, such as osteopenia or osteoporosis, are definite contributors to many cases of adult lateral spinal curvature. The development of neuromuscular disease, certain organ diseases and particular soft tissue pathologies can lead to the development of scoliosis in adults. Adult spines are no longer growing. In fact, they are shrinking year by year after the age of 40 due to disc desiccation. This helps adults to self limit the development of scoliosis in their spines. However, curvatures can still progress, sometimes to symptomatic degrees, given hospitable conditions in the host. Adult variety scoliosis in younger people poses greater risk, since these spines are still developing and might therefore demonstrate accelerated and exaggerated scoliotic progression during the ages of rapid maturation. Adult type scoliosis is virtually never treated with bracing, since the use of a progression-retarding orthotic is only effective when the spine is growing. Braces might be used in younger patients with developed adult varieties of side-to-side curvature. Support braces and muscular supports are more common for adults, but most of these devices are known to be ineffective and function as more of an emotional security blanket than providing any actual anatomical efficacy or functional benefit. Some forms of adult scoliotic formation can be managed and even reversed using exercise. This is particularly true for cases that are incited by muscular causation, such as imbalances and spasms. Spondylodesis surgery is reserved for the most clinically significant types of scoliosis that threaten life or functionality. These large spinal fusions are difficult to endure, difficult to recover from and have many inherent flaws. However, they represent the best and only treatment for many patients who are unfortunately stricken with extreme scoliosis that compromises the lungs, heart or overall physical functionality.